Flawless, Blemish free, radiant allure and a baffling size for a Natural Pearl for August Moon Energies! Treatment None, fully Natural. Radiography report, X Ray Fluorescent test certificate provided. Comments If You by basic description of what exactly is a Vedic Mani– a Jewel precious and rare this is it. To Get a Natural Pearl in this size is a rare miracle of Nature. Nature is beautiful and nature is bountiful and that is proven by this miraculous, august gift. The features to look for are the perfection in shape.It is exactly 8.3mm by 8.3 mm. The perfection does not end there, look at the silver spotless white surface, all natural nature and a solid size and you know why a Jyotish Gemstone is such a powerful agent for destiny recalibration. Flawless, pristine silvery white, blemish less natural pearl formed by accident in Nature for the best results in Vedic Gem therapy. In Lucky Stone Astrology Pearl is the birthstone for June but As Per Vedic Gem Therapy Natural Pearl rules the sign of Cancer. One of the fastest acting Gemstones the natural pearl has to be fully natural, non nucleated, formed by accident in nature besides being beautiful, full of a radiant allure. Insist on a X Ray diffraction and Radiography report to ensure that the pearl that you are wearing is fully Natural. The Natural pearl and is august nature is complemented by an understated and a classy finish in sterling silver– the metal ruled by Lord Chandra-Moon. 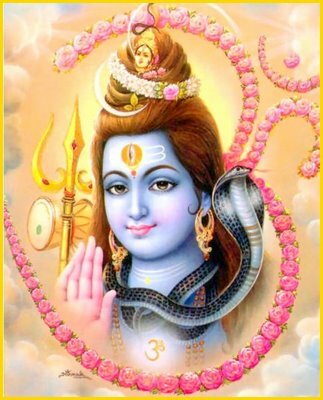 One of the Names of Lord Shiva is Chandra Moulishwara because the moon adorns the forehead of Lord Shiva. This Gem is befitting for a purpose like that. In addition to wearing Natural Pearl if one desires good results from the planet moon one should meditate on Lord Shiva as Chandra Moulishwara. 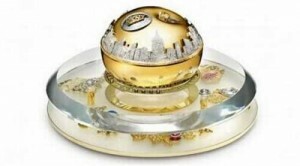 Gemeliciously Fragrant – A perfume bottle for $ 1 million! A Noble way to raise funds for life saving programs! 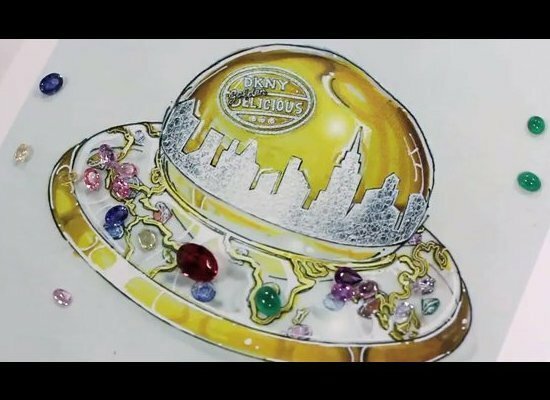 No wonder that the perfume with a retail value of anywhere between $35 to $75, now is one of a kind, collectors’ item – all because of the gemstones with the asking price at $1 million! 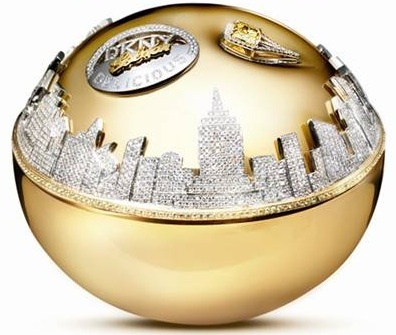 The DKNY fashion house has collaborated with the celebrated Beverly Hills jewellery designer Martin Katz, who came up with the design and crafted it. The 14 Karat gold bottle has the New York Skyline around its diameter and is studded with 2,700 white diamonds and 183 golden yellow sapphires. The bottle sits on a circular base with all the continents carved on it and each continent studded with the precious stones that originate there. The base has a 1.65 carats turquoise Paraiba tourmaline from Brazil, a 7.18 carat Oval Cabochon Sapphire from Sri Lanka, 15 Round Brilliant Vivid Pink Diamonds from Australia weighing 1.28 carats, 4 Round Rose Cut Diamonds weighing 0.32 carats, a 3.07 carat Oval Cut Ruby and a 4.03 carat Pear Shape Rose Cut Diamond. The bottle cap features a 2.43 carat flawless vivid yellow canary diamond. The extravagant perfume bottle will tour the world – from London, to Mexico to Malaysia, allowing admirers a close view before being sold to perfume enthusiasts and connoiseurs. Proceeds from the sale will be generously donated to the Action Against Hunger global charity. The humanitarian organization carries out life-saving programs in more than 40 countries worldwide and assists some five million people each year. Note 1. The tourmaline from the Mina da Batalha in the Federal Brazilian State of Paraiba, are small, rare and precious. Their spirited turquoise to green colours, are not found in any other gemstone in the world. Brazil is famed for its tourmalines. Members of this splendid gemstone group come in practically all the colours of the rainbow. 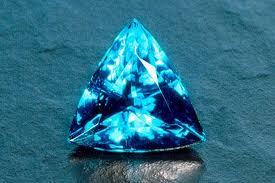 The radiant turquoise was finally added too with the discovery of the precious deposit in Paraiba. Note 2. Rose cut diamond is one which has faceting done in such a manner that the base is flat (unlike the usual brilliant cut, which has a crown with a distinct table and a pointed pavilion) and the crown has triangular facets rising to form a pointed top. 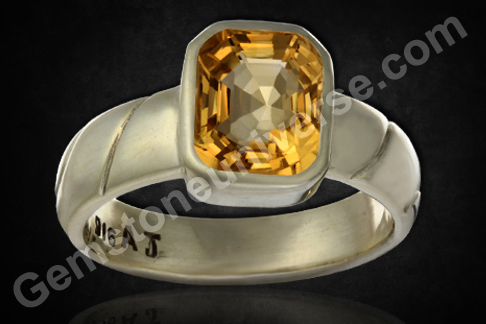 Fantastic Intensity of color and eye clean Yellow Sapphire for Gorgeous Jupiter Results. 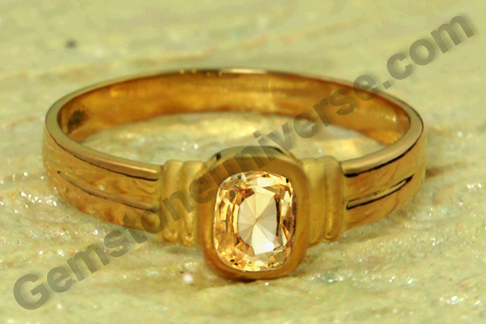 Comments Golden Yellow Colored fully natural and unheated Yellow Sapphire. Yellow Sapphire is the Gemstone of Jupiter that rules over the signs of Sagittarius and Pisces as per Indian Vedic Astrology. Look at this lovely Jupiter Gemstone. Observe the fantastic intensity of color, eye clean nature of this Sapphire crystal, symmetrical cut and fully natural nature. It is Gemstones like that that can get classified as Jyotish Gemstones and it is Gemstones like this that delivers quality results. Is your Yellow Sapphire free from any flaws as described in the sacred texts. If answers to all of the above are yes,you have Jyotish Quality. 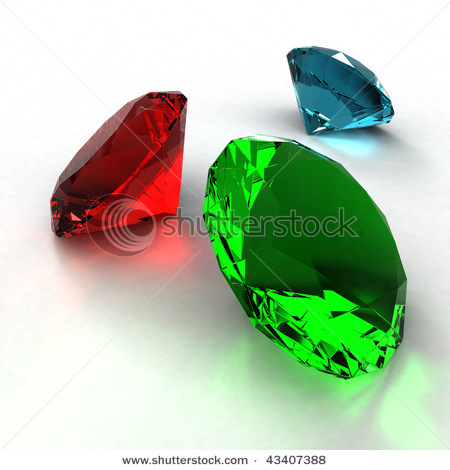 Emerald- The Gem of Wealth, Intuition, emotions, wealth of intuition and also of Angel Muriel! Emerald- The Gem of Intuition, emotions, wealth of intuition and also of Angel Muriel! Comments Feel quicksilver mercury energies with this impact creating emerald. Lovely Length to Width ratio, stunning clarity of over 95% that itself is quite rare in Emerald, pleasing late summer grass green color and no treatment make it a Jyotish gemstone of the finest quality. Search anywhere for this quality at this price including the origin and is you find one , we shall buy not less than 100 carats from you. Mercury in Vedic Astrology stands for business, finance, communication and intellect among the tangible things. 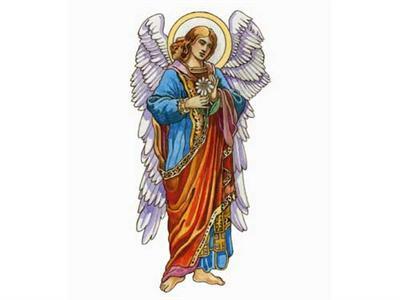 Among the intangibles it stands for intuition- a very precious gift. Mercury also stands for stocks and some of the best stock experts besides being phenomenal data crunchers have an inbuilt fine sense of intuition that keeps them ahead of the curve. In the west, Emerald is considered to be the Gem of Angel Muriel who besides being the angel of good luck, protection, emotions also controls intuition and puts us in touch with our deepest emotions and feelings. 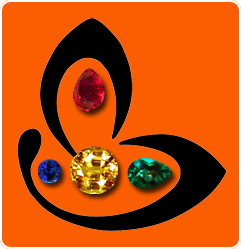 A fine specimen of a Jyotish Gemstone guaranteed to deliver promised results. Comments Amazing Scintillation and fire exhibited in this fine Sri Lankan Hessonite. Notice the lustre and the fiery orange color that is just shining through. 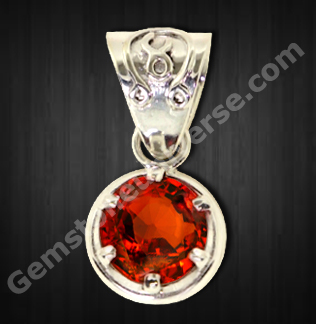 Hessonite is one of the fastest acting gemstones and gives excellent results in Rahu . The Rahu talismanic symbols on the pendant loop make it a powerful Rahu Talisman. Simply majestic and royal this beautiful Hessonite Garnet just exudes power. This is a real miracle of nature. This natural hessonite garnet from Sri Lanka has been blessed with a rich color and brilliant lustre. Simply mercurial in appearance this Gemstone evokes emotions of power, mystique and magic. Loupe clean clarity, perfection in cut, electric lustre, premium Jewellery Grade. The Scintillating cut and lustre is just one of the features that make a Jyotish Gem such a powerful life changing instrument. A magnificent earth mined rare beauty .A Look at each of the Imperial Golden Yellow Topaz of this lot and you know why they say: A Gem is for a Gem. Fully Earth mined, completely natural with no irradiation, loupe clean with brilliant and finest Golden Yellow color make them brim with Sattvik and Pure Vedic Energies just like their planetary Lord Jupiter. 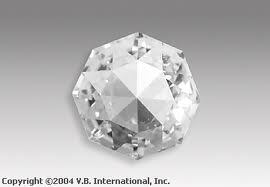 In the west it is considered to be the November birthstone. Representing the apex of Jyotish Quality and finding the top spot in the Gem pyramid they will give very powerful results. Ever bathed in the brilliant Golden Yellow Rays of an early Morning Sun- Anymore addition would be an understatement! The Jewellers Association, Bengaluru (JAB) deserves a real round of applause as it is working towards constructing dormitories for mentally challenged senior citizens in their “Biggest Social Cause Project”. It is already running an initiative called Sai Vrundavan, a home for deaf and dumb rural children. There is also a special school running under their aegis for the same children. With no support and abandonment as a major issue, the mentally challenged senior citizens are often found in very pitiable state, living at the mercy of fate. JAB is building dormitories to house 18 men and 18 women to begin with. 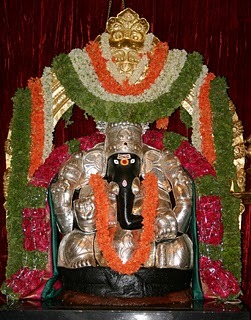 JAB is expecting to complete and inaugurate the building by the end of August 2011. Astro Journey, Gemstone Universe’s Parent organisation is proud to be a contributor to the cause. We wholeheartedly appreciate all efforts that are humanitarian in nature. For those who may feel motivated to contribute in some manner can access www.jab.org.in and contact the Secretary of the association.